The Ensign Ful-Vue was a range of medium format cameras built in Britain from 1939 until the mid-1950s. The earliest mode, the Ful-Vue, was a metal-bodied box camera shooting 6×6 on 120 film, made by the London-based Houghton-Butcher company (which then became Ensign, and in the 1950s Ross Ensign). The camera had little more than a viewfinder, a two-speed shutter and a simple lens and not a great leap forward from the box cameras from the turn of the century. The big change was its very large viewfinder to help compose the photo – a viewfinder so large that it gave the photographer peering through the top The Ensign lens was focus-free, and could produce a sharp image as close as three feet. But the Ful-Vue was definitely built for the amateur end of the market – there was only one aperture (f11) and only two shutter speeds; Instant (1/30th) and B for longer exposures. World War II brought an end to civilian camera manufacturing, but it was not the end of the Ful-Vue. In 1946, a redesigned and radically different Ful-Vue was unveiled. Inspired, Richmond said, from Sir Stafford Crisp, the head of the post-war Board of Trade. The Council of Industrial Design organised an exhibition of visionary new products that could be built in a Britain emerging from war. The new Ful-Vue looked radically different to its box-like predecessor. It was much more futuristic-looking, with a streamlined top plate that led to a large, brilliant viewfinder, and looked similar to the TLR cameras popular at the time. Like the original Ful-Vue it was mostly made of metal, apart from a Bakelite front, and finished with crackle-effect black enamel paint. The overall effect was appealingly sci-fi, like a retro robot’s head. “The camera design and specification were essentially the same but it was more angular and slightly larger more robust than its older sibling,” wrote Adam Costello on his classic cameras site. Underneath the new Art Deco-stylings, however, the camera was essentially the same, boasting only two speeds and a single aperture of f/11. What it did boast was a 75mm lens with three different focus settings (two metres, three to five metres, and six metres to infinity). The lens has to be pulled out for close focusing. 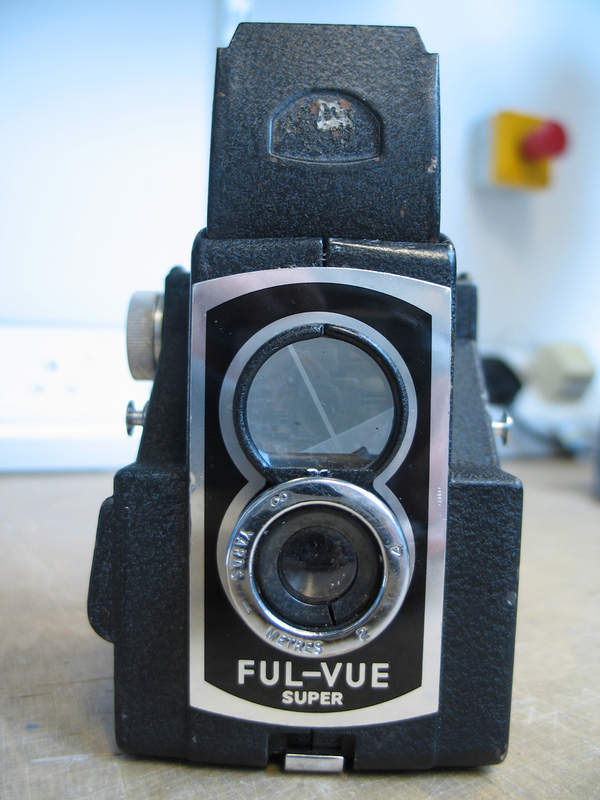 One side of this new Ful-Vue was removable so it as easier to load film – another handy feature bearing in mind it was designed for amateur photographers. 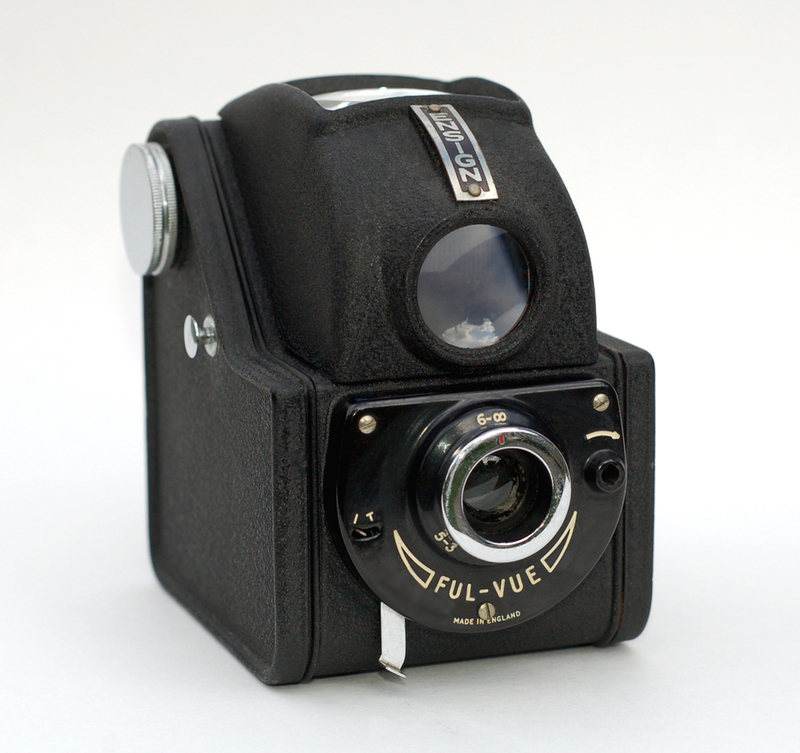 In 1950, an updated version of the camera called the Ful-Vue II, which allowed flash to be used. In 1953, the normally black camera was released in red, white and blue to mark the coronation of Queen Elizabeth II. As Richmond writes, “one camera dealer remembers dressing his shop window with coloured Ful-Vue’s and the union flag for the celebrations”. The Ful-Vue II proved immensely popular – it’s estimated more than one million were sold in the early 1950s. There was one more model before the Ful-Vue story ended; in 1954 Ross Ensign released the Ful-Vue Super, the only camera in the Ful-Vue range shooting on 620 film instead of 120. Ensign also released the Fulvueflex late in the 1950s, a plastic-bodied camera believed to have been built by a third party. Like the rest of the Ful-Vue range, this too took 120 film. By 1959, Ross Ensign went out of business, and the Ful-Vue range came to an end. Ful-Vues – at least the post-war versions – are pretty common cameras, at least in England, cropping up regularly in cameras fairs and at vintage stores. Britain’s Brownie might be a good nickname – they were the epitome of the cheap, simple camera that wouldn’t cost a fortune and be reliable enough to take on a day out. Their arrival coincided with the re-opening of Britain’s seaside resorts, closed during the war. The Ful-Vue, designed to take snaps in bright, sunny conditions, documented sunny day escapes the length and breadth of Britain and further beyond. Thanks to the fact they take 120 film – still widely made and available – the Ful-Vue is still useable today. Ful-Vues might have been made for the amateur market, but they weren’t flimsy; and with relatively few moving parts, there’s not a hell of a lot to go wrong. The Ful-Vue’s images, thanks to that very simple lens, are sharp towards the centre of the frae but much hazier as you head out to the edges. It’s not a million miles away from what you might get using a Holga. 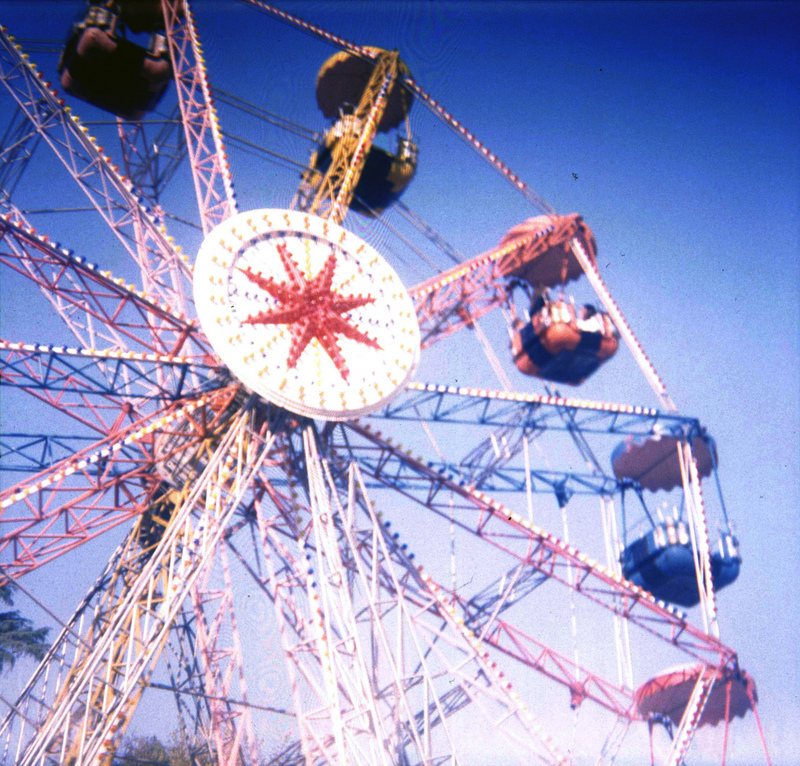 The fixed shutter speed and aperture, however, means this is best used with 100-speed film in bright conditions. On eBay, Ful-Vues can sell for as little as £5, but these tend to be rather shabby; expect to pay a lot more for refurbished or pristine models, especially the coloured varieties that marked the Royal Wedding (one recently sold for nearly £65). In the early 2000s, an Amateur Photographer editor took a Ful-Vue on a trip to Paris, and got some remarkably moody black and white pics from it. In the right hands, the Ful-Vue’s clearly capable of decent, atmospheric results. And it looks pretty damn cool too.